A few Sundays ago, I had the honor of getting to speak to a group of women at our church on preparing for Christmas, specifically focusing on preparing your home, heart and family. I can’t wait to share them with you too. 1. Overall, you want to create a warm, welcoming, and delightful feeling in your home. Tapping into the five senses in your home decor for Christmas acts as the "backdrop" for the rest of your decor. 2. You want to have a plan, right? The best place to start is by choosing a color palette or theme. What are your favorite color palettes for Christmas? Are you going for Traditional? Glam? Neutral? Do you have a collection of vintage Santas? Once you have your colors or themes decided, make all decor choices that fit within those moving forward. 3. Taking what you already have and adding new; another way to say it mixes the old and new. This gives a great feeling to decor and makes it more sentimental and personal. 4. Choose layering and multiple textures such as greenery, metal, faux fur, and wood. 5. This one is probably my favorite: add words to your decor! Through signs, metal pieces with phrases, or printables, this is a great way to add Christmas cheer in your home! 1. Be Proactive, plan ahead! From gift shopping and wrapping to children’s activities, and from community events to getting Christmas photos taken and sent, Christmas can leave you feeling like your head is spinning. The enemies of a meaningful Christmas are procrastination and no planning. If you don't plan, you create competition for your heart's focus on what really matters. Chaos can rob you of the opportunity to be more contemplative this Christmas. Action step: For these things create a checklist/calendar: there are millions of free ones available on Pinterest. You can alter it as needed/preferred. Now that your mind is cleared, you can engage in having your mind open and focused on advent, preparing for the arrival of Jesus. 1. Children's Present List: Get this done early, put it on your checklist to do now so it doesn’t become all your children think about these next few weeks. The enemy of a meaningful Christmas is procrastination and no planning. 2. Focus On Jesus As Rescuer: Create a home that has an environment where the Christmas story is all around you, and it’s being reinforced. How do you do this? What are some tips on how this works for you? Words in décor: signs in your home with Christmas Bible verses, quotes from Christmas songs. Worshipful Christmas music playing in your home. Look to create meaning in your traditions. At Christmas time, the stage is set! It's a meaningful time of year, so there is not better time for reinforcing old traditions, and creating new traditions. What are some traditions that you have as a family? Have you thought about introducing a new tradition? If so, what are those? Giving back by donating old toys/books prior to receiving gift for Christmas. 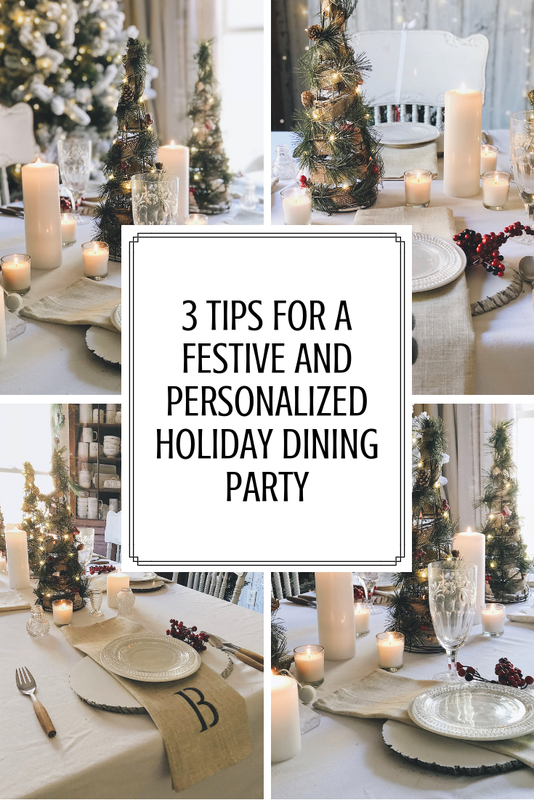 What do you all think of these 3 ways to prepare for Christmas? I would love to hear from you too, and the ways you and your family prepare for the Christmas season. If you enjoyed this post, you may enjoy these too. Just click on the image to check it out!